Segment 7 begins in the west at Pilot Mountain State Park. Pilot Mountain is a quartzite monadnock, or isolated mountain. 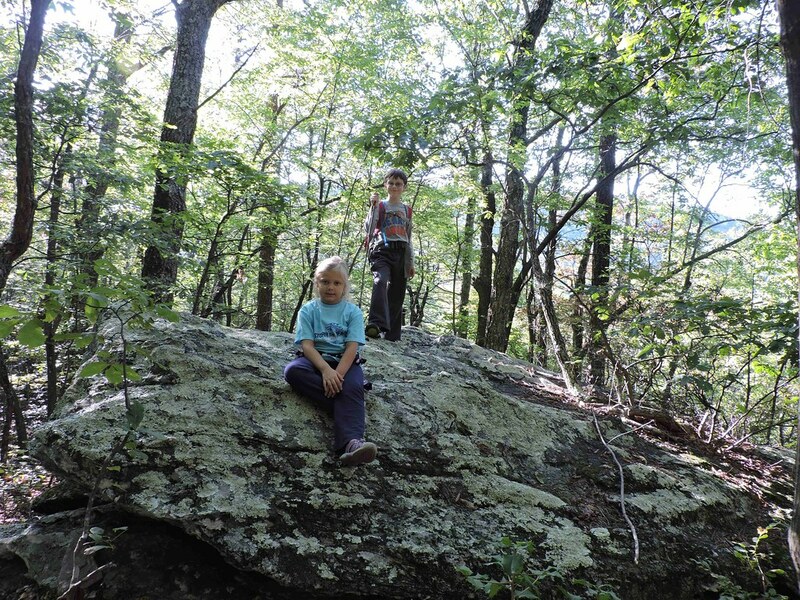 Known to the Saura people as Jomeokee—the “Great Guide”—Pilot Mountain rises to 2,421 feet and is capped by vertical cliff walls rising to a forested dome known as Big Pinnacle. Big Pinnacle is closed to all public access for ecological and safety reasons; the trail loops around the northwest of the peak. “The Pilot” has served as a navigational landmark for centuries, and even today it is a near-constant presence throughout Segment 7 and the surrounding countryside. East of Pilot Mountain, the MST joins the Sauratown Trail, one of the earliest long-distance trails in the state. Winding through farmland, forests, and country roads, this trail skirts the northern flank of Sauratown Mountain. The trail is unusual in that it is mostly on private lands, and is open to trail users through the generosity of many individual landowners. As you hike the trail, please be respectful. The Sauratown Trail is maintained by the Sauratown Trails Association (www.sauratowntrails.org), and the portion of Segment 7 within the state parks is maintained by Friends of the Sauratown Mountains (www.sauratownfriends.org). Both organizations hold regular trail workdays. As a result, this segment is built to very high standards, and it is a joy to walk. This segment provides a sense of isolation that is rare in the Piedmont. There are no towns or stores on the segment, and only a few businesses of any sort. At the same time, much of the trail passes through working farmland, even within a few feet of active farm buildings. The nearest towns for resupply or lodging are Pinnacle, about a mile south of the trail on Old 52 Rd. 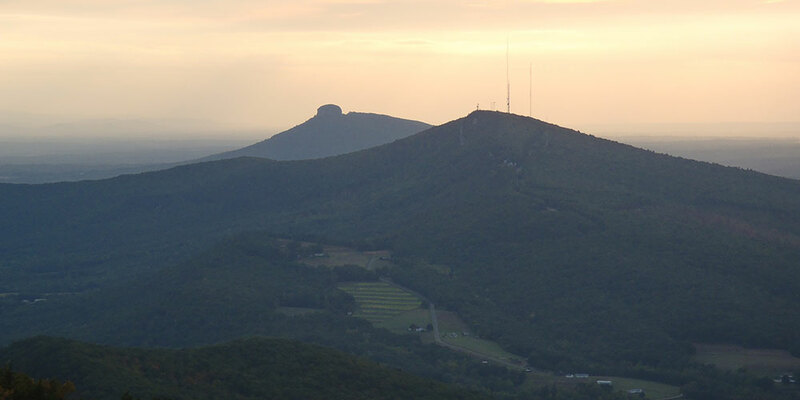 ; Pilot Mountain, about 3 miles north of Pilot Mountain State Park; King, about 8 miles south on US 52; and Danbury, which MST Segment 8 passes through about 4 miles east of the eastern end of Segment 7. In contrast to the majority of the MST, most of Segment 7 is open to horseback riders, and equestrians make up a large portion of the trail’s users and advocates. 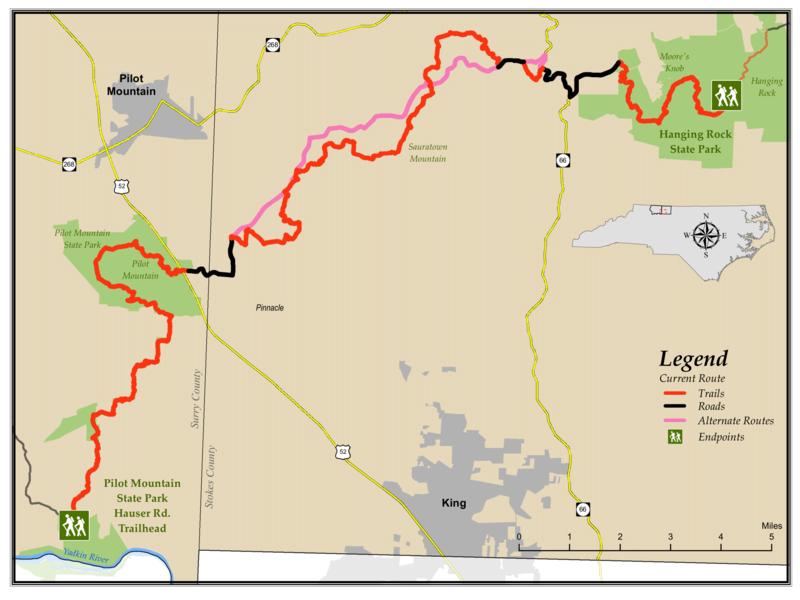 All of the Sauratown Trail is equestrian trail, and the Corridor Section of Pilot Mountain State Park and the Ruben Mountain Trail (also marked as Tory’s Den Trail) in the western part of Hanging Rock State Park are both open to horses. Hikers should be aware of the potential of encountering equestrians and that horses always have the right-of-way. When encountering equestrians, hikers should calmly greet the rider and avoid quick movements to keep from frightening the horse. To avoid dangerous interactions, dogs are not allowed on the Sauratown Trail.